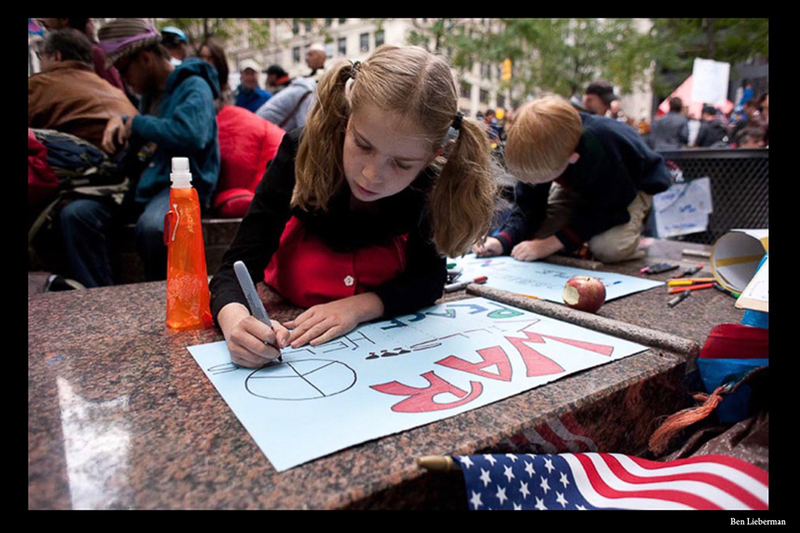 It’s been seven years since Zuccotti Park was filled with the protest movement known as Occupy Wall Street, which began on September 17, 2011. 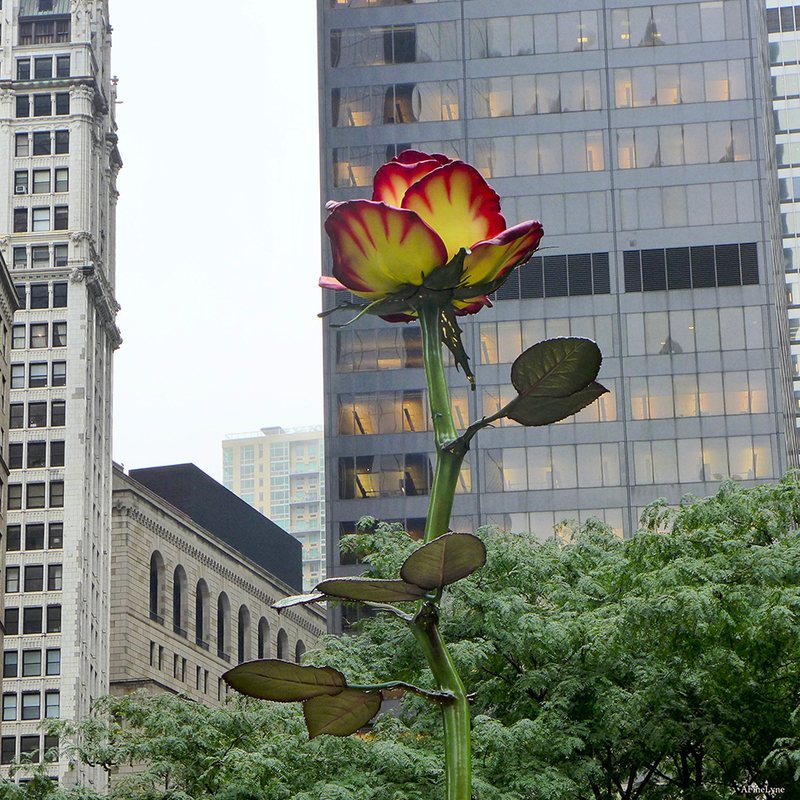 In remembrance of the event, Brookfield Properties installed the artwork, Rose III, blooming in the northwest corner of the Park. 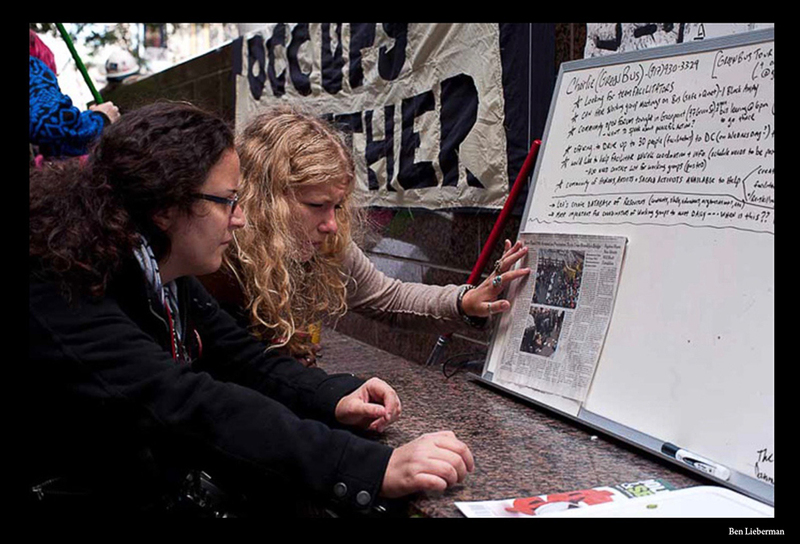 Interspersed among the current installation, Rose III, are images taken during Occupy Wall Street in 2011. The 26-foot tall Rose III, which is forged from painted steel, is the third in a series of Rose sculptures by artist Isa Genzken, with the original Rose commissioned and installed in 1993 at a private residence in Baden-Baden, Germany ~ and a second edition permanently installed at Roppongi Hills, Tokyo. 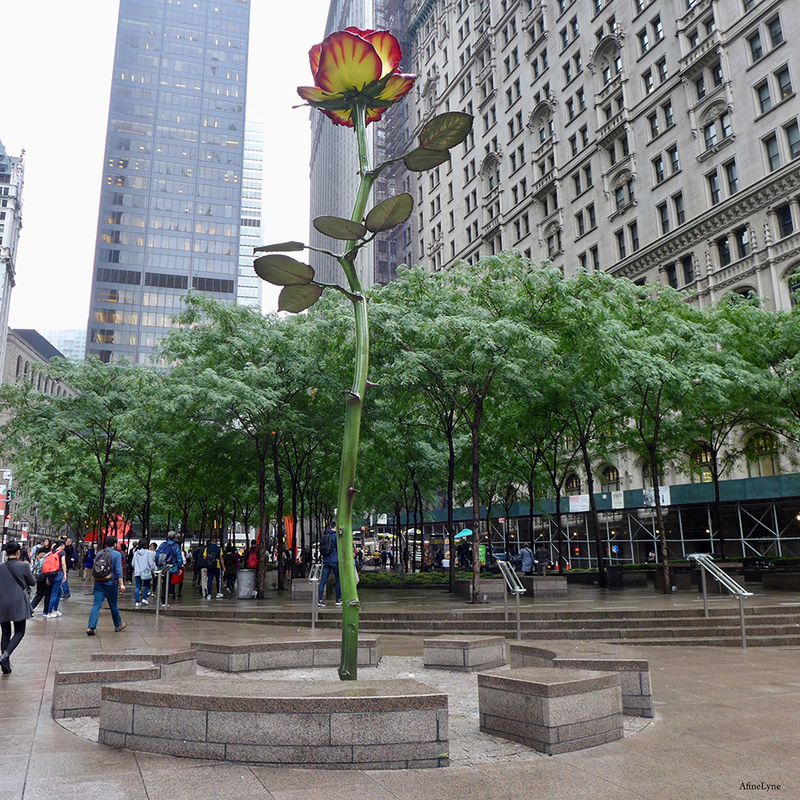 Rose II was Ms. Genzken’s first public sculpture in New York and was installed at the New Museum from 2010 to 2013. 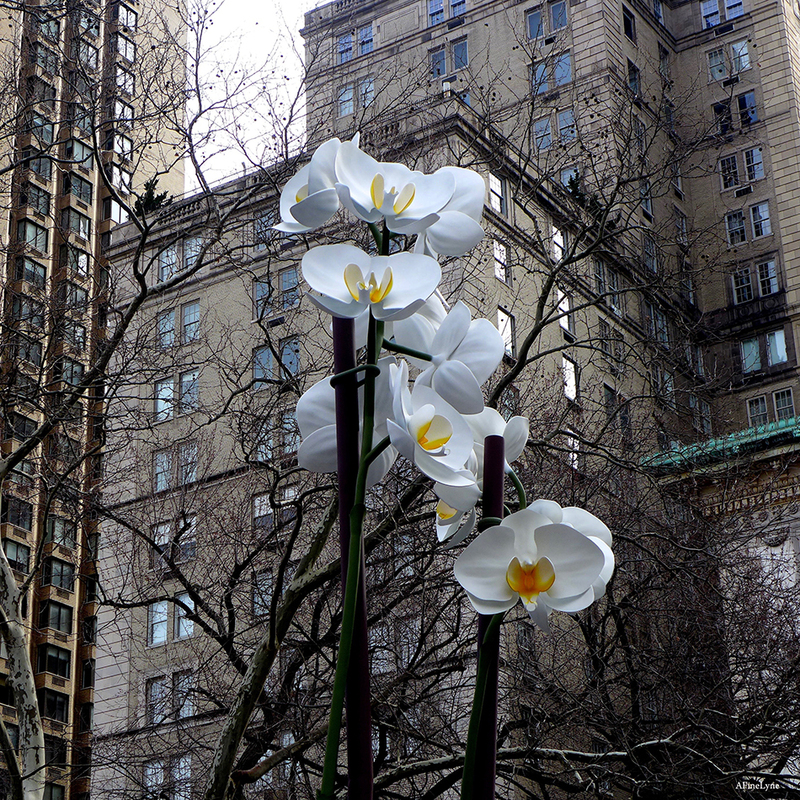 It was then acquired by the Museum of Modern Art in New York for the sculpture garden. Rose III is on long-term loan to the City of New York and Brookfield Property from Ms. Lonti Ebers, art collector and patron, and whose husband is Brookfield’s CEO. 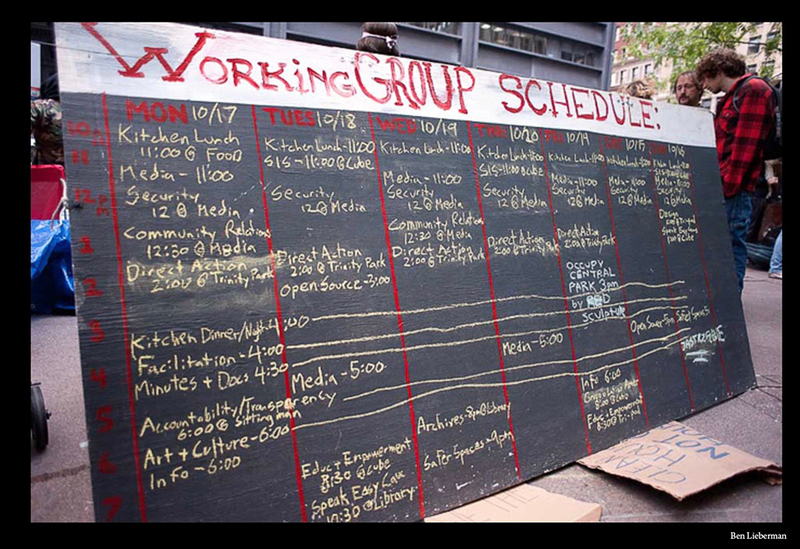 The installation is in celebration and remembrance of the Occupy Wall Street event. “I bought the work and then thought about how it might go downtown,” she said. 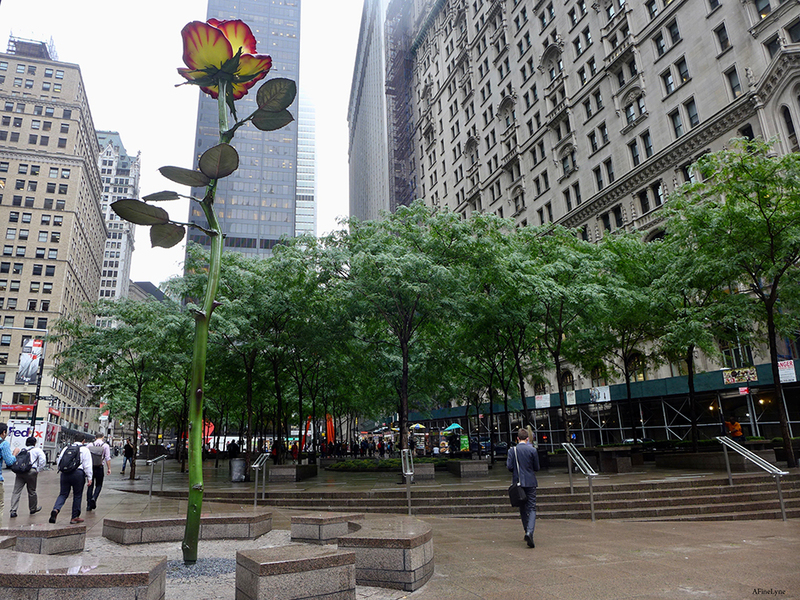 Ms. Genzken is no stranger to New York, having unveiled her creation entitled Two Orchards at the Doris C. Freedman Plaza for the Public Art Fund in 2015. 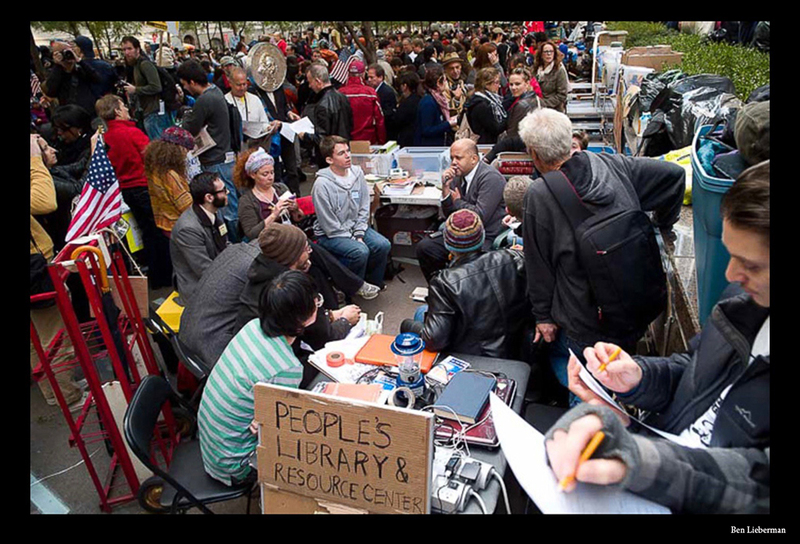 Mayor Bloomberg had police raid the encampment in Zuccotti Park on November 15, 2011, clearing the Park of all Occupy Wall Street protesters. 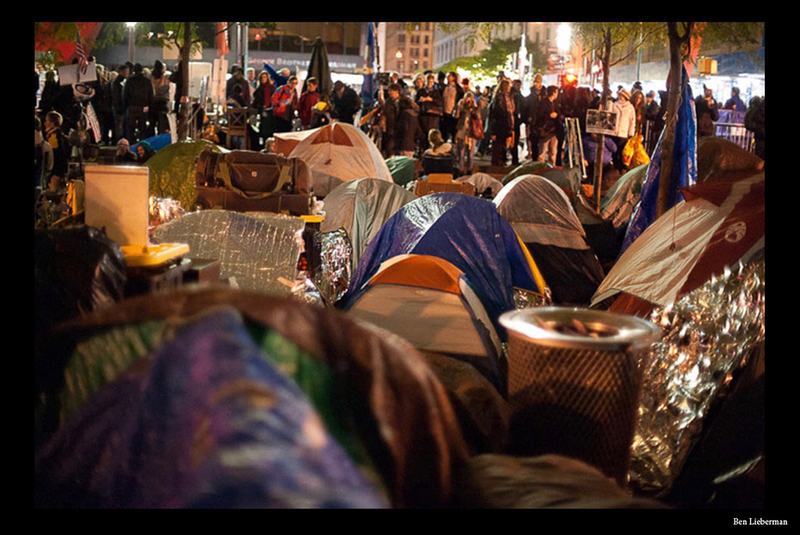 For more images of Occupy Wall Street 2011, check out NYSITY.